One of the best habits I picked up from my dad and his brothers – Reading. Yes, we read a lot – Newspapers, Magazines, Books and now of course there is a lot of online reading; blogs, news sites, forums and more. Rarely do I get tempted to read fiction but lately I noticed that one fiction read then helps me do a quick read of some business or digital topics. But when Sunil announced the launch of his first novel – Diana’s Ring, I had to read it. The book is a thriller and will keep you turning the page. I loved some of the twists and the unexpected turn of events which makes you finish reading the book in just about a week or less. That’s the fun of reading fiction – they are really quick over and out. The book is inspired from the life of Princess Diana and and the happenings on the dreadful night of her car accident, so that was some interesting read. Although, I must make a point here – the end seemed a little too soft. Not sure if I am able to get the right words – poetic or mellow (not sure if that’s the correct word). I would have liked to end it with a bigger bang. Would love to know what Sunil thinks about it and did he get any similar feedback from his other readers. 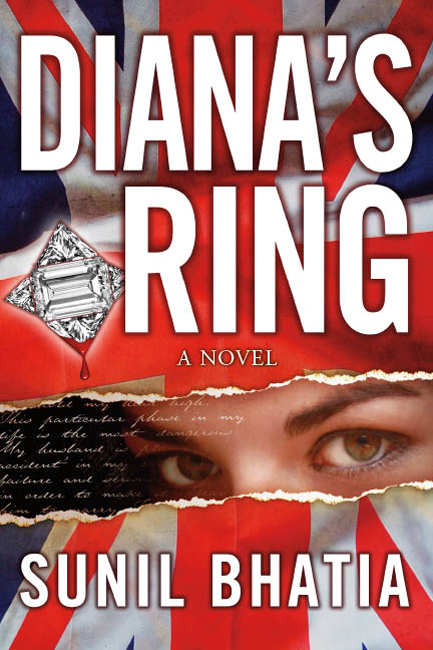 Diana’s Ring is currently available only as a digital download. No print copy yet but I guess will come soon. Good weekend read or pick it up before you go off on that beach holiday. Sunil, great job on the first one and we eagerly await the next title. Next Post How are you picking the winning ideas?